Yohe Architecture + Design (YAD) provides high value, low impact, sustainable design that reflects each client’s vision, generates conversation and incorporates local and global environmental factors. YAD differentiates itself from other architecture firms by placing an emphasis on listening to the needs of every client. By listening, YAD brings a client’s vision to life using a combination of hand drawn and/or 3D modeling sketches. Each design iteration is reviewed with the client to ensure that the completed product accurately captures the owner’s vision, unique style and requirements – enhanced by YAD’s architectural expertise. The foundation of all YAD projects is built on strong relationships with local residential and commercial owners, consultants and construction teams. Communication and collaboration with all involved parties is the key to each successful project. Three dimensional technologies are used as a tool to validate designs and facilitate communication. That being said, YAD takes pride in keeping the ‘human factor’ in all projects. What begins as hand drawn sketches over a cup of coffee – will evolve into highly detailed, accurate designs as conversations between all involved parties continue through each phase of the process. As consideration to the environment continues to play a large role in home and building design, YAD has the necessary experience and credentials to design LEED certified structures. LEED provides building owners and operators with a framework for identifying and implementing practical and measurable green building design, construction, operations and maintenance solutions. As one of a select few local architecture firms with a LEED certified architect as the owner, YAD provides its clients with energy efficient commercial and residential design and architectural services. Thoughtful, informed, educated design principals are used on all YAD projects to ensure that we reach our goal of ‘continuous client satisfaction’. Frequent word of mouth referrals, repeat business and positive client feedback is the barometer used to determine how successful we are in meeting this goal. Our business seeks to provide you with the best service in home building and repair. We are dedicated to delivering exactly what you envision for your living space with precision, quality and luxury. For over two decades, Hummel’s Landscape has served as Central Pennsylvania’s premier landscape contractor—designing and customizing an extensive variety of commercial, institutional, and residential communities throughout the region. We offer specialized designs for each of our individual client’s landscaping needs, and feature comprehensive hardscaping, irrigation, and outdoor lighting services. Contact one of our specialists to begin your collaborative design process today. Cedar Knoll Builders is a second-generation home building company serving new homes to the local Chester & Lancaster County Communities. Offering three divisions of expertise; Custom Homes, Community New Homes and Commercial Building, you’ll only find the highest standard of ethics and building practices in today’s home building industry. Cedar Knoll Builders is proud to be building new homes in the Lincoln University, Cochranville, West Grove, Kennett Square, Coatesville, Landenberg, Unionville, Quarryville, Parkesburg, Fair Hill and Oxford areas. With over 100 years of combined expertise, Cedar Knoll Builders is committed to building your new home with the same care, commitment to quality, cost consciousness and pride that we build into our very own homes. We are here to create a great customer experience. It's the only way we know how to do business, and the only way to sustain a reputation of great craftsmanship and customer satisfaction. Here at Cedar Knoll we are dedicated to serving our local Chester & Lancaster County neighborhoods outstanding quality homes in lasting communities. If you'd like an estimate or more information on our Cedar Knoll homes please call 610.932.5719 or visit us on the web: www.cedarknollbuilders.com. Jeffrey Henry, owner of Jeffrey L. Henry, Inc. was born into a building family. 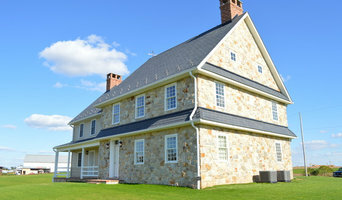 He began his building business in 1987 and has built his reputation as an outstanding builder and remodeler in Pennsylvania ever since. Quality craftsmanship, attention to detail and 100% customer satisfaction is the foundation which Jeffrey L. Henry, Inc. has been built upon. Through a combination of highly skilled employees and subcontractors, we strive to make each project a work of art. 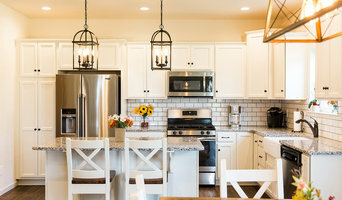 Jeffrey L. Henry, Inc. is best known for their work with custom homes from all sizes and price ranges and specializes in custom remodel projects ranging from kitchens and baths, to additions, finished basements and home maintenance projects. There is no job too big and no job too small. When It Absolutely, Positively Has To Be Done Right. Let’s face it—most remodelers aren’t around after 5 years. In fact, many contractors never make it passed their 2nd year in business. We’ve been around since 1999. That’s almost 20 years and counting. How have we done it? By providing award winning remodels including extensive whole-house remodels, home additions, basements and kitchens. TONO is a distinctive architectural design practice located in downtown Lancaster City, Pennsylvania with a clear mission to create meaningful places and improve the quality of the built environment. Intent on generating powerful and concise design solutions for each client, TONO offers the highest attention to detail regardless of the project's size, scope or audience. Woodhaven Homes, LLC creates High Performance & Custom homes built with integrity. We custom design and build the home of your dreams, from start to finish. At Berks Construction & Design, we offer an all inclusive approach. We can design and build everything from basic additions to high end kitchens to new homes. Our staff has the professional tools and experience necessary to help with all your needs. *Authorized Wellborn Cabinetry Dealer* Whether you are remodeling or building new, creating a space that is distinctively yours can be a daunting task. With more than 30 years of combined experience, We Do Kitchens can design a customized cabinetry solution that fits your personal style. We will help choose from an array of cabinetry types, wood types, finishes, and detailed elements. Talk to us about how we can find solutions that give you the perfect fusion of style, function, and affordability. We offer full-service kitchen, bathroom, and closet remodels in Frederick and Washington counties in Maryland, Franklin County in Pennsylvania, and Jefferson, Berkeley, and Morgan counties in West Virginia. A full service firm offering design, construction documents ("blue prints"), bidding, permitting and construction administrative services for residential, commercial and community groups. Company Overview Main Office: 230 Market Street, Lewisburg, PA 17837 Description RAL Architecture + Design, Inc. brings a tried and true management approach and fresh innovative thinking to each project. We begin by listening. Your functional requirements and aesthetic concerns are unique. Our diverse staff, with a depth of experience and talent, takes on the challenge and develops creative solutions to each design project. Owners and craftsman, Randy and Kelvin, came together as partners in April of 2014 after having worked together on various projects over the previous years. After discovering that we had a similar bent toward fine, detailed, and careful craftsmanship we decided to combine our efforts and established Ardent Construction. We are a small company with a focus on personalized attentive service to our customers. We typically work on only one or two projects at a time ensuring that we are personally able to be present on each project, performing much of the work ourselves and keeping close watch over the work of our subcontractor partners. Along with residential remodeling and construction services, we offer design development, cost analysis/planning, and energy audit/home energy performance services.